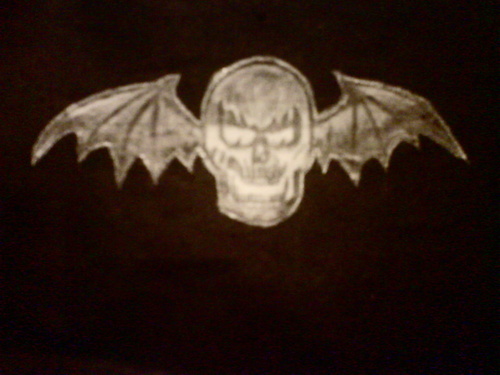 Deathbat. My attempt at drawing the datbat. HD Wallpaper and background images in the Avenged Sevenfold club tagged: deathbat a7x avenged sevenfold. This Avenged Sevenfold fan art might contain sign, poster, text, and chalkboard.